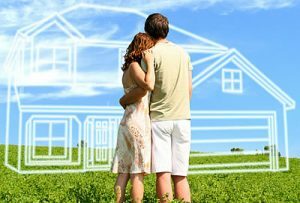 All the Government mortgage programs in Birmingham (FHA, USDA and VA) generally have the same requirements for approval. All the programs offer secure fix rate terms backed by the Federal government. The programs do however have certain eligibility difference as listed below. Please be sure to contact us with questions by calling the number above, or just submit the Info Request Form found on this page. USDA or “Rural Housing” loans are available to just about any homebuyer wishing to buy a dwelling with a rural listed location. Most of Alabama outside of the major metro areas like Birmingham, Mobile, Mongomery, is currently USDA eligible. Click here for the USDA eligibility map. USDA loans have family or household income limits in accordance with the number of family members, county, etc. Note that USDA, and VA, are the only residential loans in Ala that permit 100% financing with NO down payment. Read a complete list of all the USDA FAQ’s here. FHA is the most popular Government backed loan. This program offers financing up to 96.5% – just a minimum 3.5% down-payment is required from buyers. Buyers can also use gift fund for down payment and closing costs from family or other eligible sources. FHA does not have income limits or property location requirements like USDA. FHA does have loan limits of $314,827 in most counties in AL. Just like the other government loan programs, FHA offers secure fix rate terms with some of the lowest interest rates available today. Buyers can read more FHA details here. 100% VA loans are available to all eligible armed forces members, past and present. VA is one of only two home loans that allows 100% financing. Most conventional lenders require at least 5%-10% down payment which is not possible for many military families. Because a VA Mortgage is guaranteed to the lender (by Veterans Administration) they do not require a down payment. VA loans do not have mortgage insurance (PMI): Even with $0 down payment, a VA Mortgage does not have mortgage insurance (PMI) as part of the monthly payment. Conventional programs with less than 20% down and FHA both have expensive mortgage insurance that can cost buyers several hundred dollars every month. Low-interest rates: Because VA Mortgages are guaranteed by the Department of Veterans Affairs, the risk level associated with default is much lower. As a result, the interest rates are usually lower than a conventional loan. Like a VA loan, FHA and USDA loan programs are also backed by the government and have similar interest rates. Easy qualifying criteria: VA Mortgage guidelines are more flexible than many other loan programs. 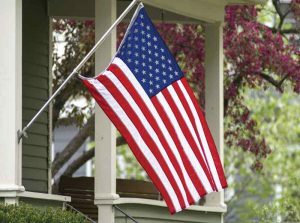 The VA mortgage is guaranteed by the government and most lenders have lower credit requirements, making them easier to qualify. Current minimum credit score requirement for most lenders is 600. Learn more about VA loans here. In most cases, a 620 FICO score is necessary to get approved for the USDA government home mortgages today. Other programs like FHA and VA loans can be done with 600 scores, some cases even lower with 5% or more down payment. Also, keep in mind that a borrowers credit score alone DOES NOT guarantee loan approval. If you have had any past bankruptcy, property foreclosures, etc, there will be minimum waiting periods of 2-4 years. Borrowers will need to fully document income to be eligible for a government home loan. Lenders also want to see a stable two-year employment history. Short interruptions in a borrowers employment history are normally acceptable, just as long the gap isn’t unexplained. Recent college graduates are often exempt from the 2-year employment regulation. Questions? Please connect with us 7 days a week for immediate assistance! Nicely written, great help, thank you very much.